Endorsed Certificate from Ofqual's regulated Awarding Body. 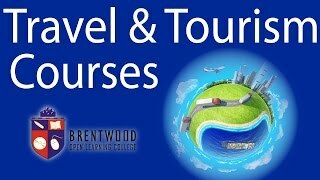 This Level 3 in Tourism Management course prepares the learner for an employment career in the travel and tourism industry such as working as holiday representative, conference and exhibitions representative, events manager, handling air passengers, hospitality operations in the industry, and many more. Please keep in mind that from start to finish, learners are guided by a professional tutor, who will always be available to handle their concerns with utmost dedication and highest level of professionalism. Learners who are working as employees discover that this Level 3 in Tourism Management course prepares them with the right skills employers are looking for, while people that want to start their careers as travel consultants or agents can attest that with this Level 3 in Tourism Management course adequately prepares them with the relevant skills they need to become highly sought after travel professionals. Learners find this Level 3 in Tourism Management course quite helpful whether they register for it to expand their curriculum vitae, or boost their career prospects. Learners are not restrained or limited by any form of fixed schedules, time restrictions or imposed deadlines by their tutors. Once they register for this Level 3 in Tourism Management course, they are assigned a professional tutor who will be there to guide them at all times. Explore the development and management of important relationships with key suppliers. Develop understating for series of essential transport principles and common transport options. Explore the roles and responsibilities of the professional tour operator. All course materials are included in the Level 3 in Tourism Management course price. All your study material will be available on our learning management system for which you will get access once you are enrolled. The material can be downloaded and printed as well. You will be continually assessed throughout the Level 3 in Tourism Management course. Your assignment will be marked by your tutor and independently moderated. The feedback on your assignment will then be sent to you. On receipt of this, you may wish to contact your tutor to discuss the feedback. Entrepreneurs planning to start their own businesses. There is no particular entry requirement for Level 3 in Tourism Management. We do not ask for any previous qualification or experience.